I love spring. Everything is coming back alive. The trees wear their leaves of spring (yellow) green. By extension, I like the arrival of the rainy season in Cameroon/CAR. Again, plants are coming back to life, turning green, growing quickly. What a time of hope. What a paradoxical time to be experiencing grief. If you haven’t already heard, I am back in Pennsylvania; I came because my father was ill. (I was here in March, but he seemed to be making such positive progress, so I went back to Garoua Boulai.) His health took a turn for the worse and he died April 8, 2014. How can I rejoice in the new life of spring/rainy season when someone who has been an integral part of my life is gone? But, on the other hand, how can I not? This is also Holy Week. I have to say that I have not been paying much attention to Lent this year. Too many other concerns… So, Holy Week seems unreal. It “snuck up on me.” Tonight is the night we commemorate the last supper. And tomorrow the crucifixion. Jesus died so we could live. So my father could live with Him. How can I be sad when Dad is beyond pain and living in joy with Christ? Of course, we who are left behind feel sadness and grief. It is our loss in this earthly life. It made me very sad to remove Dad’s name from the distribution list for this blog. I am staying with Mom and as she said, Dad is everywhere in this house. We miss him terribly. 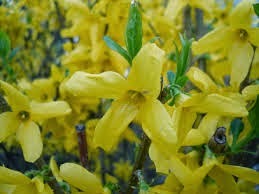 But, I could go for a walk this morning and revel in the sunshine, the forsythia, the early spring flowers, the buds on the trees, and in the renewal of life. Death is a normal part of life – even when it is hard for us individually. News from CAR continues to be difficult to hear – and even harder to live, I am sure. I want to be in Garoua Boulai to help. I was working at a distance from CAR while in GB. Now I am working at an even greater distance! I can’t meet with people, but we can talk on the phone. I will do what I can. Two songs keep coming to mind, so I want to share them with you. May we remember God’s presence and goodness at all time. P. S. I will be writing less often while I am in the States with Mom and then visiting churches for my Home Assignment. Please continue to pray for the Central African Republic. Prayers for my family would also be welcome. The "and"s of God have a way of expanding our being, don't they? Susan, you've been in my prayers and will continue to be.